That doesn’t look like Food Waste! 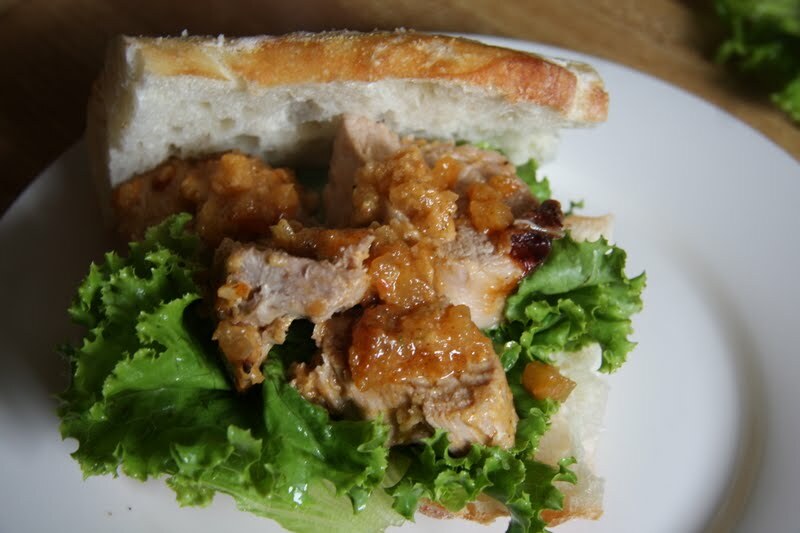 It’s an amazing pork sandwich made out of things that otherwise might have had to be composted. All I did was take a pork tenderloin (don’t be impressed-it was on massive sale) and let it thaw in a 1 cup of crushed pineapple (remember the Pina Colada Icecream?) and a cup of leftover chipotle dressing and then baked then whole thing in the oven. Slice. Serve on crusty bread with some lettuce. Now if you liked that and are in a happy mood then don’t look at the next photo. It isn’t going to spoil your breakfast or lunch? Is there anything grosser than rotten cucumbers? They smell. They have suspect liquids (never a phrase that will bode well in any scenario) coming out of them. They even grow their own winter coat and I don mean a nice chic, Cynthia Rowley wrap coat in camel (not that I’ve been lusting after one of those online or anything) but a blue, fuzzy, slippery knd of dealie. Bleh…but everything else, including what little is left of my sanity survived this week. We still don’t have a functioning front door. We do have a pretty new one that is nailed shut and inaccessible since a big piece of plastic is covering the opening of our entrance way. High style indeed. On the positive side, we can once again eat at a real table. It is very cool. Let’s get back to food. Food is happy, food gets produced no matter what and this is a yummy dinner that we had to use leftover ham. Throwing out ham would make Mommy VERY unhappy so after a big ham dinner it is reincarnated into different things. I just realised that I’ve neer posted a recipe from ham croquettes-love them. Must have soon. Check-in tomorrow and I’ll be sharing one of my very favourite chickenishes. Really quick but pretty enough for entertaining. My dear, did you know that I searched for "adventures in dinner" on swagbucks today and you were in the top three?Awesome. Cucumbers, not so much, but at least you got to use the phrase "suspect liquids", so that's great.Happy Friday! Oh my goodness, that sandwich looks AMAZING! Great job. And I MUST check out that chipotle dressing that you mentioned…I think that has the potential to make the hubby very, very happy! I love the pork & pineapple combo. Chipolte would add a divine twist — yum! 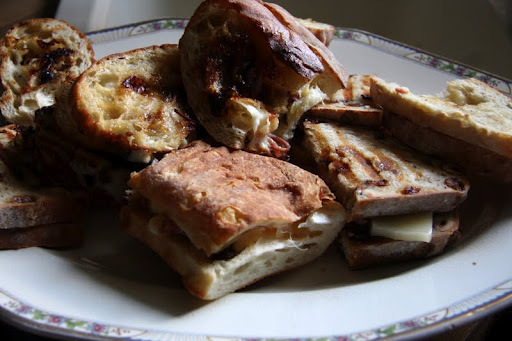 I've started a new food linky – feel free to drop by and link up your favorite recipe of the week.Cheers! 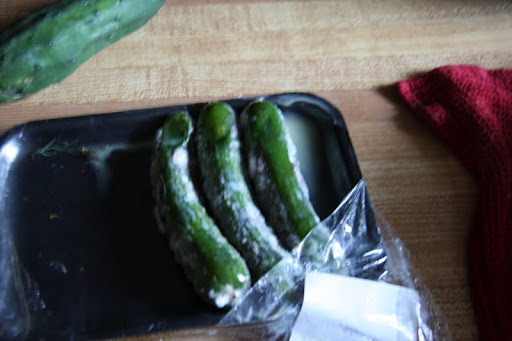 Rotting cukes are pretty gross. I think rotting potatoes takes the cake though. SO nasty. Alyson, I think you are right :)Mrs.! You are kidding? Really? You write away and wonder…Vinobaby, I'll head right over there. Can't say enough great things about your blog.Kristina, I could drink this stuff-it is so delicious. Aren't you her featured blogger? Rightfully so.